I love a bit of deal stacking and this is a brilliant one that a few people have asked me to share. It perfect for stocking up on beauty products or an ideal gift for Mothers day. You need to be quick though as this deal ends Monday 11th March! 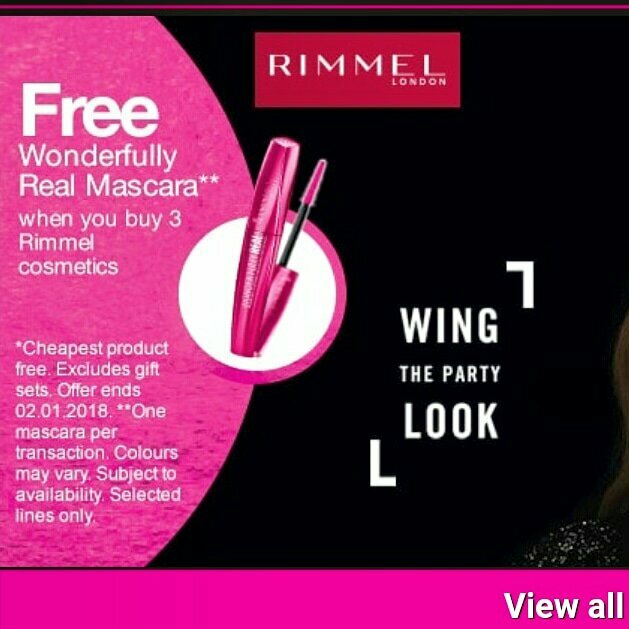 There is a brilliant deal on at Superdrug at the moment; all Rimmel cosmetics are on 3 for 2 plus you get a free Wonderfully Real Mascara when buying three Rimmel items. Rimmel products start at £2.99 each and the mascara is priced at £7.99 so this could be the perfect excuse to stock up or get a few extra stocking fillers. Beauty Club card holders can also get free delivery when spending over £10 or you can get free click and collect to the store. If you’re not a member you can sign up here. Three amazing freebies to cheer up a cold November evening! 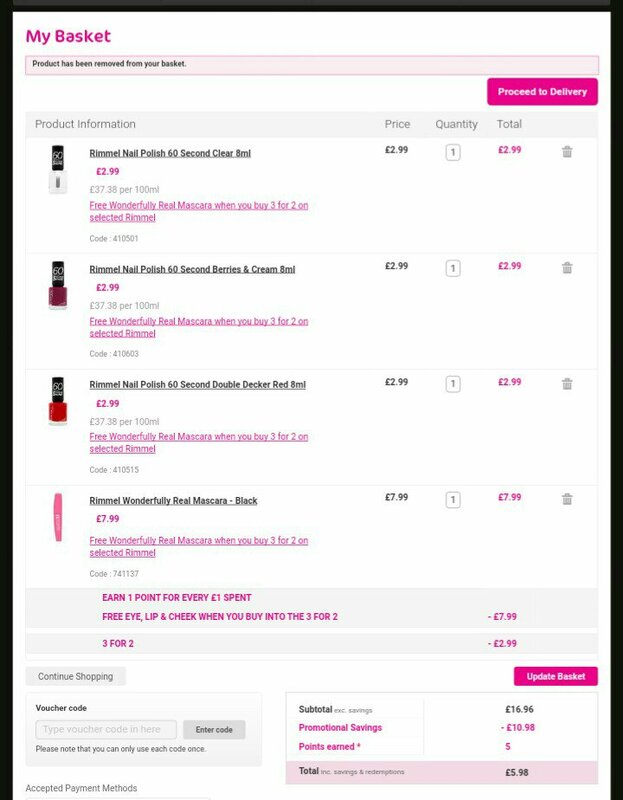 There are amazing savings to be had on Barry M Cosmetics at Argos at the moment. Perfect for Christmas gifts! Up to 78% off Sleek makeup + FREE gift! Be quick, this deal went out of stock before I could post it last week and there might be limited stock and free gifts!